Be clear about why you wish to sell and your goals and motivations. Are you selling because you require more space, a newer home, better location, or are you motivated by more personal reasons such as health, work, divorce, estate, etc? And then have a clear idea of where you would like to move to and your time frames for selling. Now that you have decided to sell, it is important that you prepare your home from the perspective of the Buyer. We advise our clients to try to view their home through the eyes of the Buyer. Remove your personal biases and emotional attachments to your home and look at it with a critical eye. After living in a home for a period of time, it is easy to become immune to its faults and overlook minor repairs and clean-up. Ask yourself what you can do to improve the look and feel of the home for someone walking into it for the first time. Is there too much clutter? Could certain areas use some extra cleaning? Is there any minor paint touch up required? Do any light bulbs require replacing? Often, just the simple act of “cleaning-up” can present the home in a different light? Now is the time to put your best foot forward and showcase your home. Schedule a free home visit from one of our experts to help you with this process. Aside from evoking all the professional standards, documentation, knowledge and skills that a licensed REALTOR® may offer, we find that the majority of Sellers recognize that professional representation in the selling of their home is a better use of their time and resources. In fact, time and time again, we are contacted by Sellers who are frustrated and have entirely exhausted themselves in trying to sell their own properties. In fact, often their extended exposure on craigslist and other “do-it-yourself” venues have stigmatized the property in the eyes of prospective Buyers. The decision as to which REALTOR® you will select, has to be personal to you. First and foremost, select someone that you feel you can connect with, someone you can have a good rapport with and someone that is personable, sincere and understands and relates to your specific needs and objectives. Remember, this is the person that will be speaking to your potential buyers and the chances are that if you do not like an arrogant, in- sincere or ill-spoken REALTOR®, neither will they. Secondly, it is of no use to you (and a disservice for that matter) if a REALTOR® is a “top-performer” but is unlikely to ever attend your property again after you have signed the listing agreement. Often, such REALTOR®‘s simply do not have the time to provide you with the personalized service you deserve. Your home is too valuable of an investment and deserves to be looked after directly by the person that you retain. More importantly, there is often a perception amongst Buyers that the more “flashy” or “self publicised” (bus stop banners, expensive ads, etc) the REALTOR® is, the less approachable they are and the less likely to negotiate.Thirdly, it is somewhat of a myth that REALTOR® of a particular ethnicity can offer you any special advantage in the sale of your home. It is our experience that those REALTOR®‘s propagating this myth are often doing so because they may have little else to offer in the way of skill and expertise. At the end of the day, your property will sell because somebody likes it and it is priced right. Its as simple as that! It hardly matters what language you or your REALTOR® speaks. With the REALTOR®'s at HomeFindVancouver.com your property will be featured on BC's Premeire 1-Stop Search Venue, receiving the vast exposure it deserves. Our REALTOR®'s are among the best in the business and provide an exceptional suite of personalized services geared towards the successful sale of your home. See What We Offer. Step 4: What is your home worth? 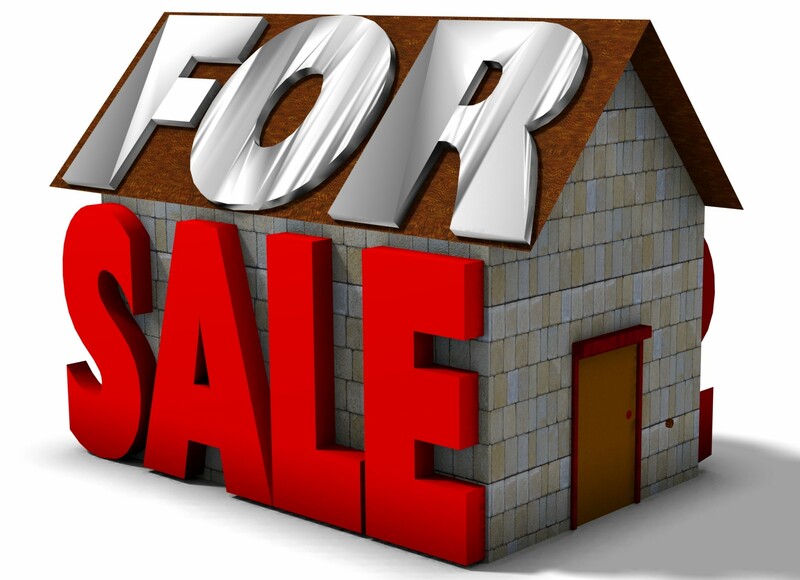 Determining the correct value of your home is the single biggest step in ensuring the timely sale of your property. The price is usually the fundamental search parameter for any home Buyer. This is why it is imperative to price the property at market value. In an age where information is readily available to all buyers and sellers, a Seller can do himself a huge disservice by pricing the property too high. Regardless of how special you may deem your home or how much money you have spent on it, your home is only worth what a willing Buyer is prepared to pay for it. In other words, the market will ultimately dictate how much your home will sell for. So, the more realistic your pricing, the better your chances of selling. That means that you must set aside your emotions and look at pricing as strictly a business decision. We can help, schedule a Free Home Evaluation. In addition to the obvious legal expenses, commissions, mortgage pre-payment fees, etc that may be incurred by a Seller, it is important for the Seller to prepare a complete list of all expenses likely to be associated with the sale. This will include any presale repairs and potential hidden costs for example, remediation work such as removal of asbestos or an oil tank. Also, if any part of the property is tenanted, remembering the simple fact that you will be required to pass on any tenant security deposits to the new owner, will help to avoid surprises. By preparing a check list of all anticipated expenses you can establish a clear estimate of the net proceeds to be expected from the sale. The listing agreement is a legal contract between you and your REALTOR® that specifies the nature and duration of the professional relationship governing the sale of your home. Remember, market dynamics can change very quickly and the date on which you list your property can affect its price. That doesn’t mean that we should chase a market in any particular direction, just that we should anticipate any requisite minor adjustments at the time of listing particularly if this date is some way down the road from when the decision to sell was made. The marketing efforts for your home need to be selective and strategic. A shopping list of marketing venues, although appearing impressive, will not necessarily sell your home. The goal of a successful marketing campaign ought to be to drive traffic to YOUR HOME. That is why a strategic, targeted approach is crucial (ask about our proprietary 5 Point Platinum Plan). It has been proven time and time again that many forms of advertising do little more than promote the name and image of the REALTOR® themselves and actually do nothing to sell your home. Just ask yourself, how much will the expensive portrait of your REALTOR®on the bus stop bench do for you? Similarly, it is proven that in this day and age, print media, namely newspaper advertising is largely a redundant exercise. So be careful, when presented with a laundry list of advertising solutions and ask, what is actually benefitting you and what is benefitting only the REALTOR®, you may be surprised to find that the benefits are not mutual. Open-houses and any showing of your home should be done each time with the same zest and enthusiasm as the first showing. The simple pointers referred to in Step 2 above, ought to be heeded before each showing. Your home should be clean, fresh smelling and bright. Often Sellers make the mistake of slacking off in this department particularly if they have had a large number of showings. This can be a grave error, since a Buyer doesn’t care how many showings you have had or that you have become tired of preparing for showings. Treat each potential buyer as someone who is seeing your home for the first time and remember to always aim to create a positive impression. Once an offer has been made, you need to invoke the skills and expertise of your REALTOR®. Your REALTOR® should be capable of thoroughly analysing the offer and presenting you with all the pros and cons to allow you to make your decision. Your REALTOR®‘s communication skills at this juncture are imperative. A firm grasp of all legal ramifications, competent written English skills and well honed negotiating abilities will pay dividends. You will be surprised at the number of badly written and poorly negotiated contracts even from so-called experienced REALTOR®‘s. There are no excuses for sloppiness and the courts can be unforgiving. Your prized investment is at stake here so make sure your REALTOR® is astute. It is recommended that throughout this process you do not speak to the potential Buyer directly, this can adversely affect your REALTOR®‘s negotiating strategy. Remain calm and objective and remember that this is now a business process and it needs to play itself out without emotion. In most cases, the offer will be subject to the fulfilment of certain conditions for the benefit of the Buyer. These may include the Buyer arranging and approving a home inspection, or having a bank approve a mortgage for the purchase. As a Seller, you will be required to provide timely co-operation to the Buyer or his agents to enable them to satisfy these conditions. Your REALTOR® should assist you through this process in coordinating and arranging access to your home for appraisals, inspections, etc. Once any condition precedents (subjects) have been removed and the contract is firm. Your REALTOR® will facilitate transfer of all necessary documentation to your lawyer or notary for preparation of all legal documentation and your formal signature for the closing of the sale. Your REALTOR® should assist you through this entire process. Upon completion of the sale and transfer of ownership to the Buyer, your REALTOR® will deliver all keys and incidental items (including garage remotes, applicable appliance warranties, etc) to the Buyers agent.